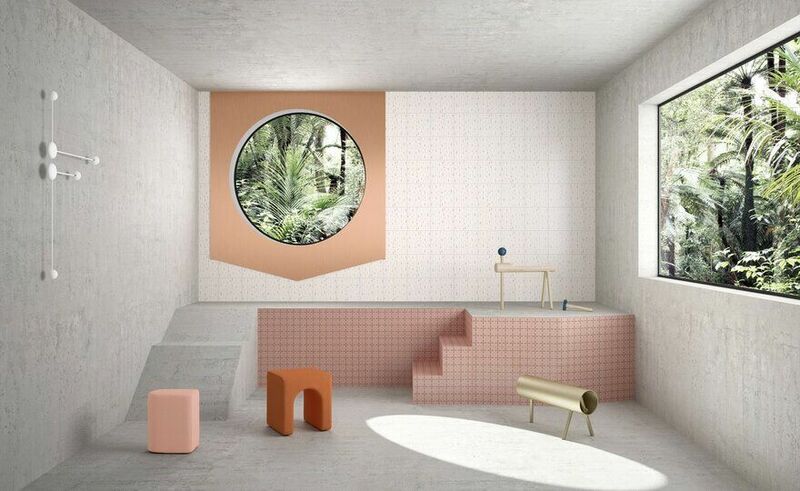 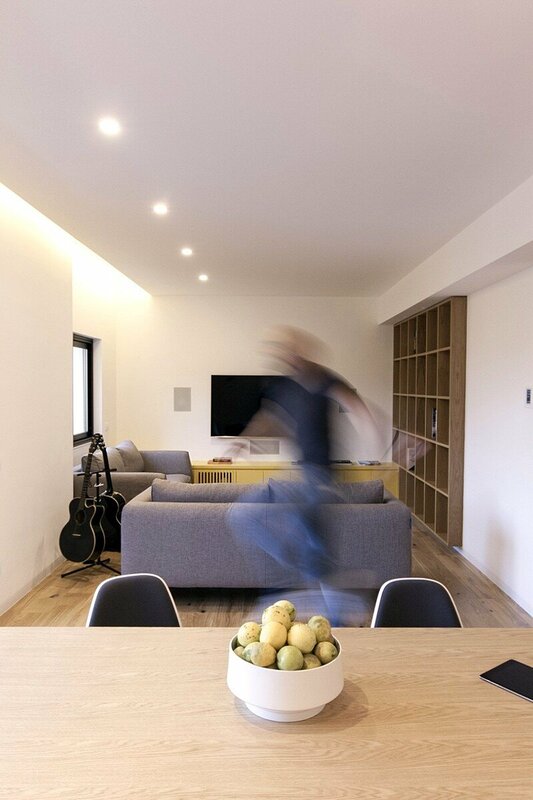 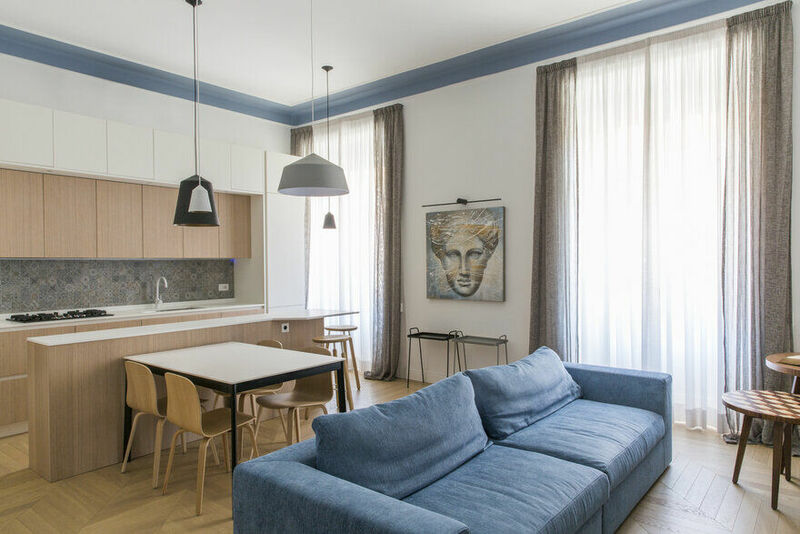 Designed by Studio DiDea, the Palermo House A157 is 120 square meters and it employs interior elements that are able to serve several functions. 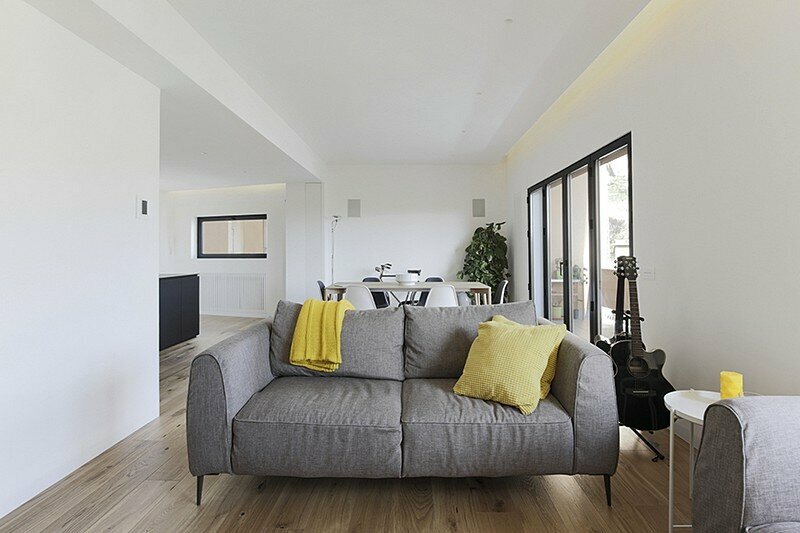 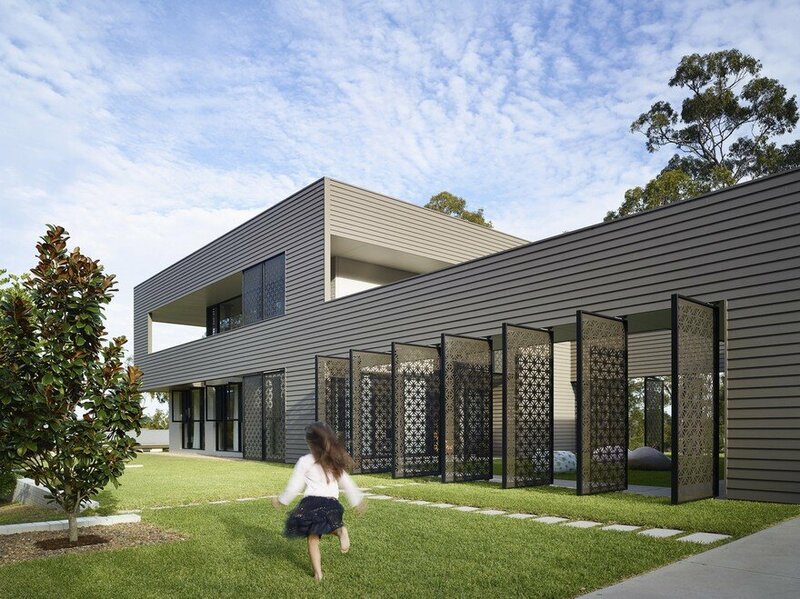 The architects decided to give more space to the day zone, to share with friends and family. 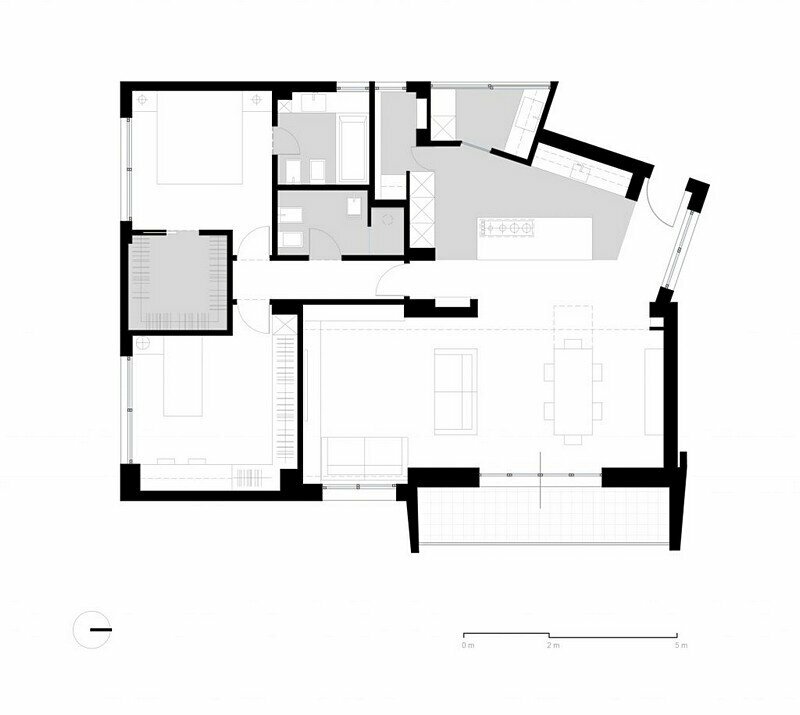 Right after the entrance there’s an open plan living, kitchen and dining area. 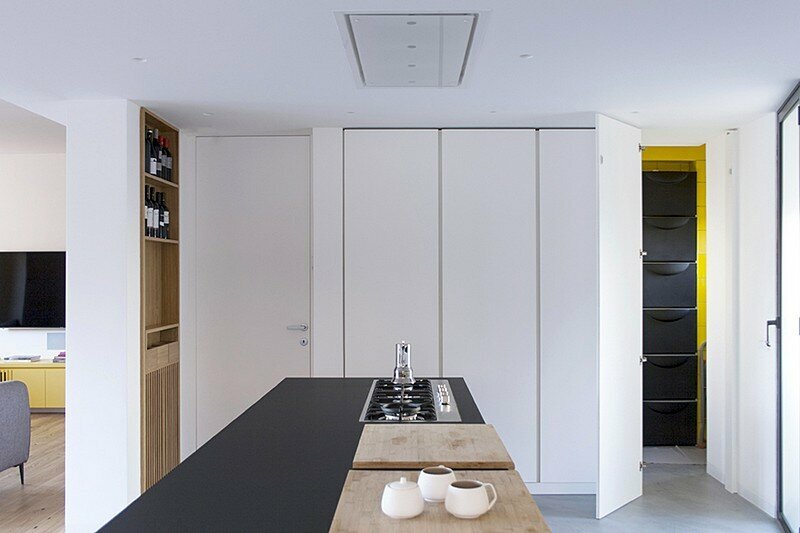 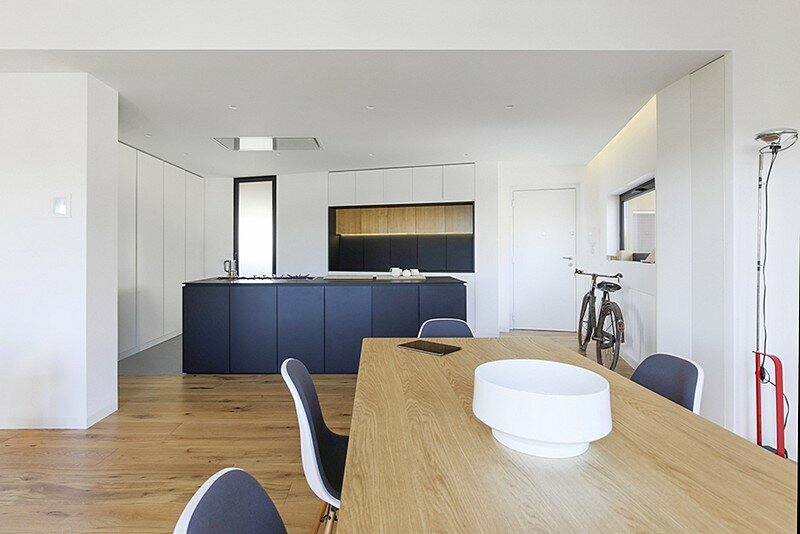 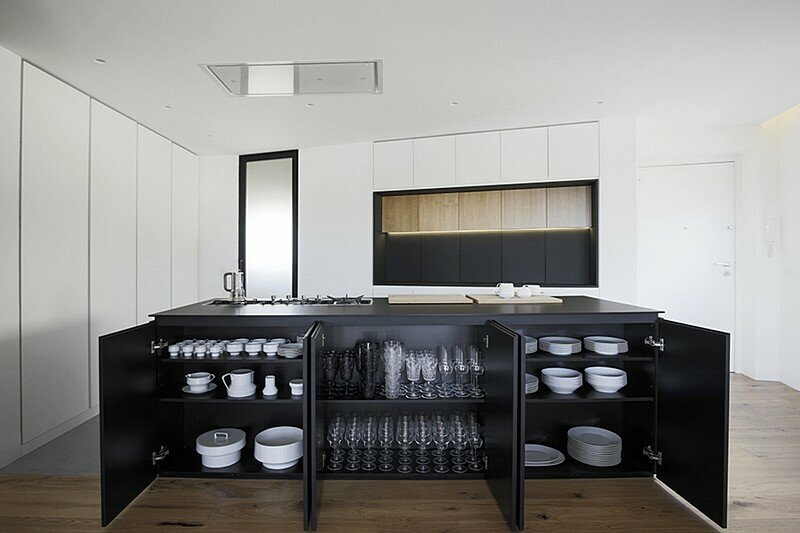 The main feature of the kitchen is the black volume designed to host hob and work area; on the wall a storage cabinet designed with the function of optimizing the spaces and creating storage. 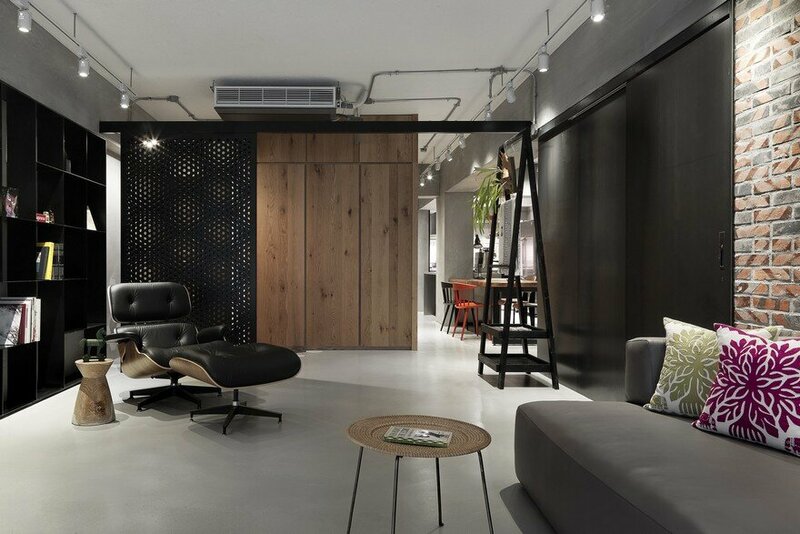 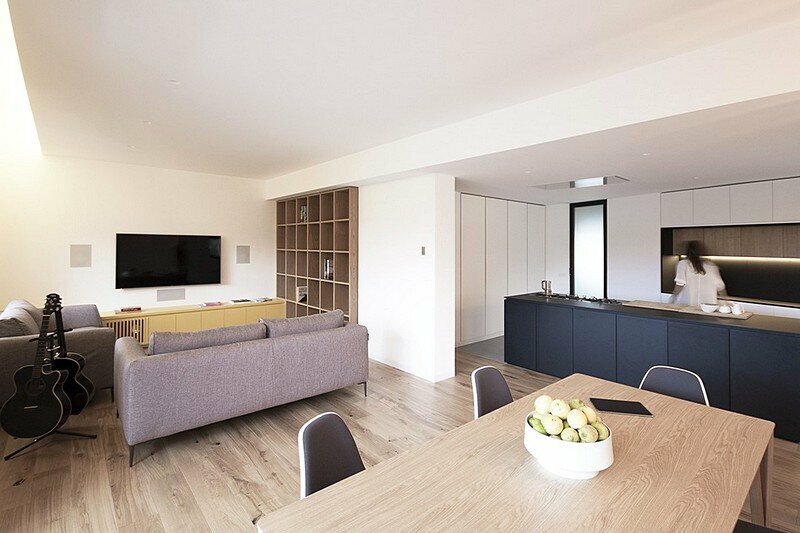 There are many concealed storage cabinets that create space-saving solution inside this apartment and keep the space looking as minimal as possible. 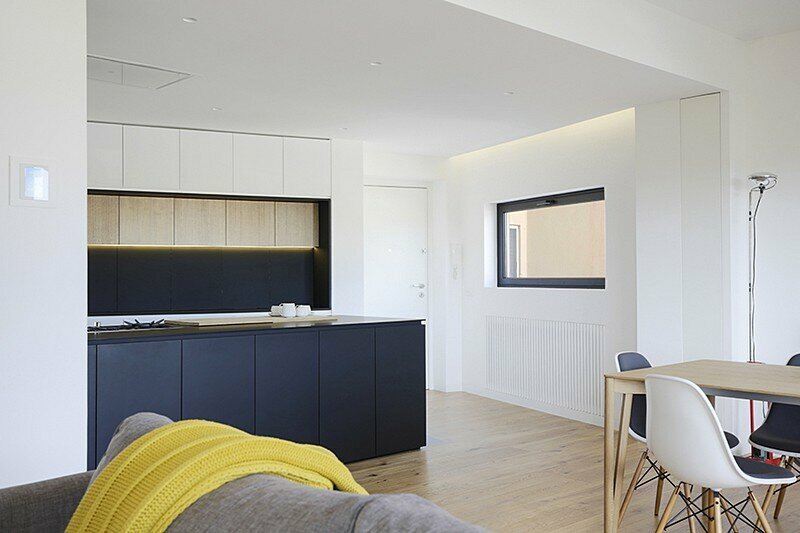 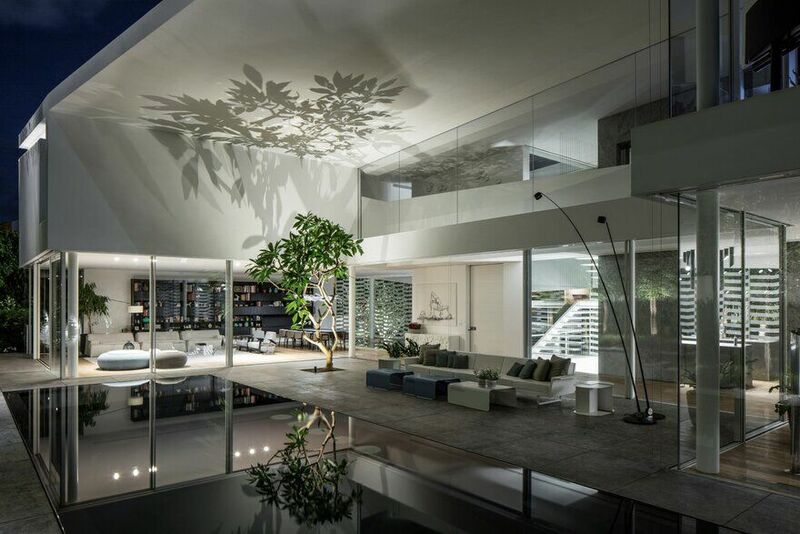 The living and dining room are flooded with light thanks to the big windows that open on a little balcony. 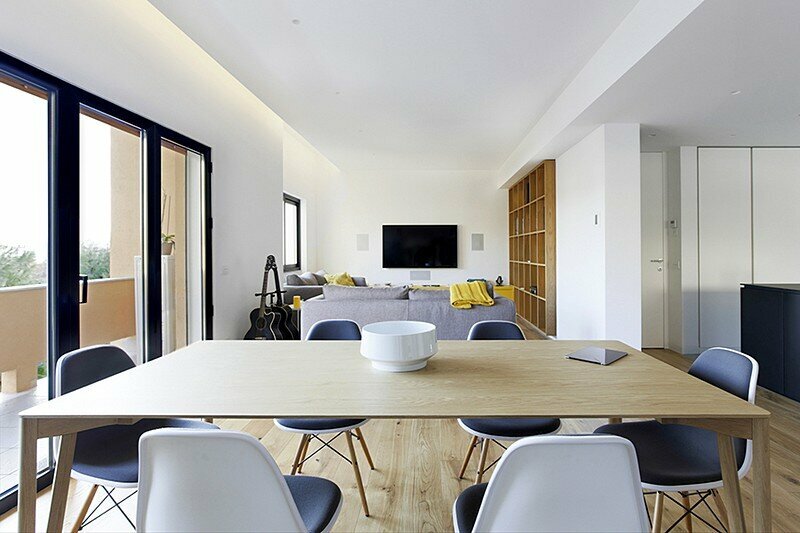 The spaces are essential with few furniture pieces as the lamps Toio by Flos and Tolomeo by Artemide, and the chairs around the table by Vitra. 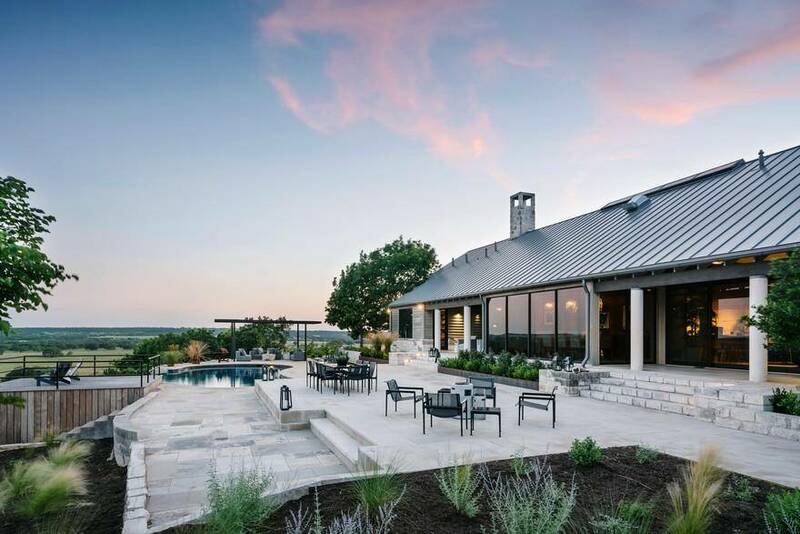 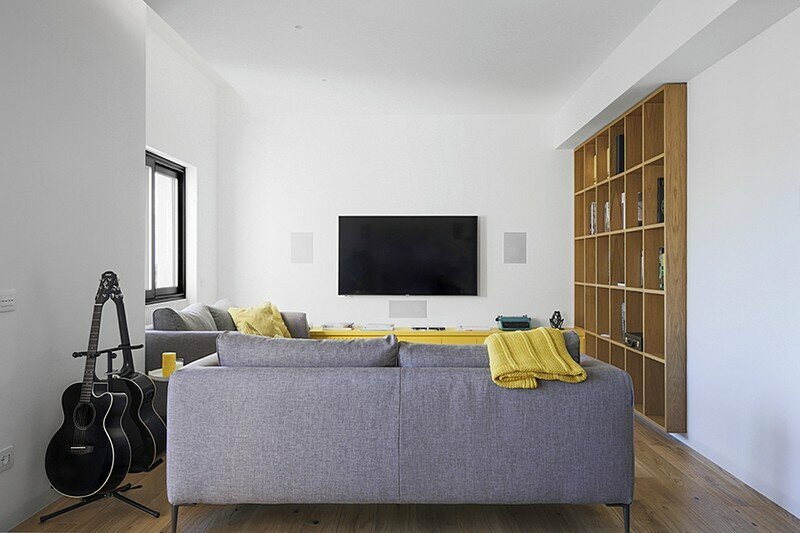 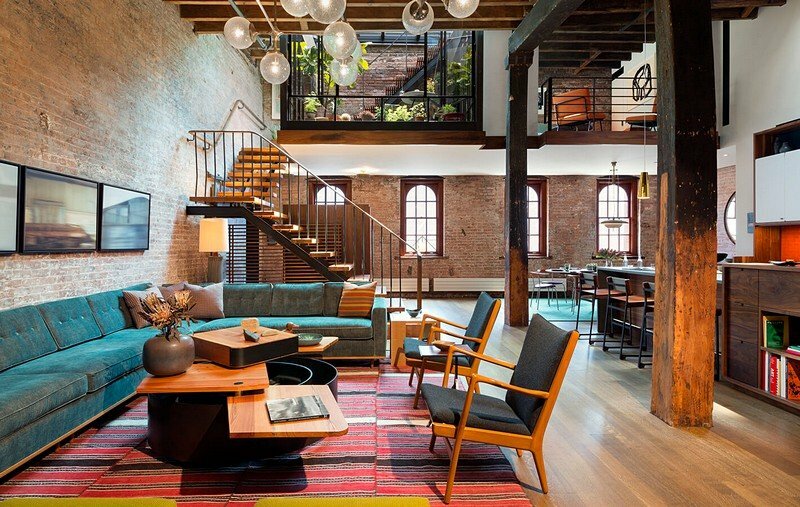 The home automation system was studied to help the owners enjoying their home at its best. 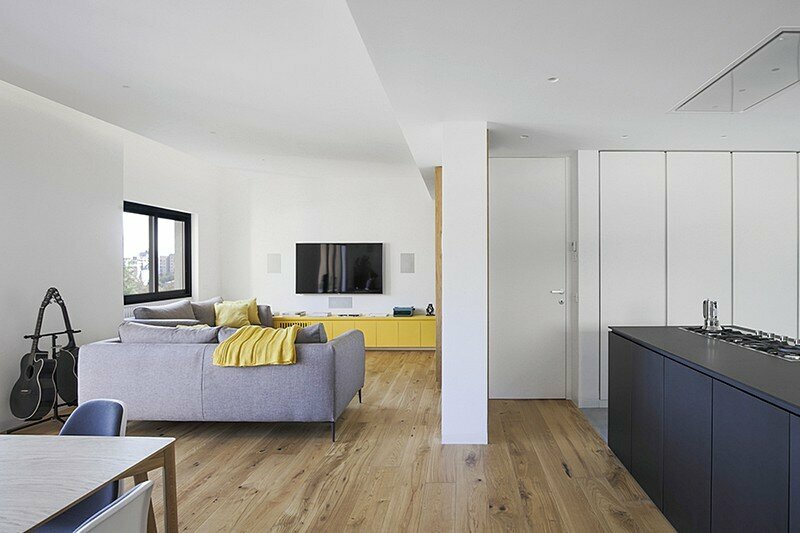 Different types of flooring define different zones : natural wood flooring is used for the living dining room and for the bedrooms creating a strong contrast with the resin used in the kitchen, laundry, bathrooms and closet room. 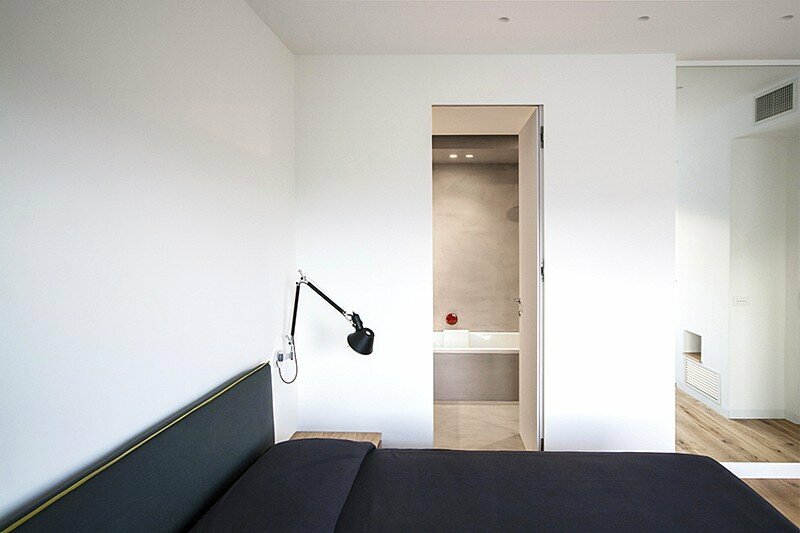 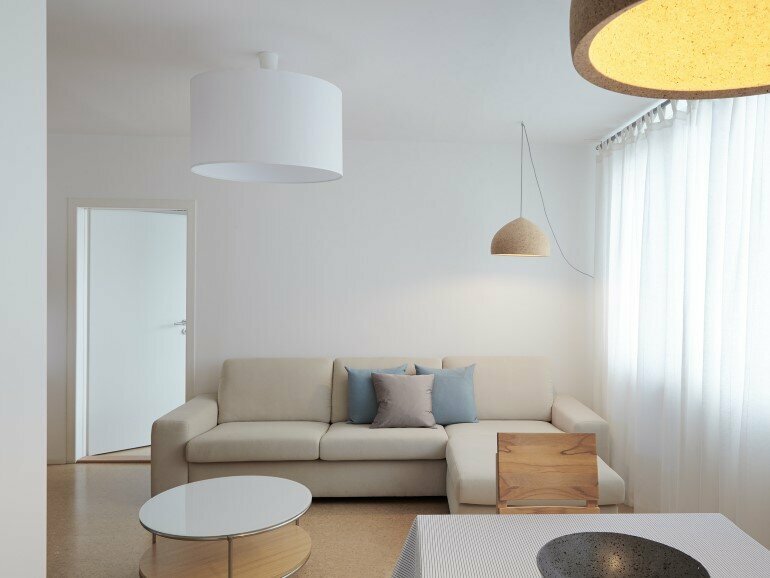 The small bedrooms are sparingly furnished, the bathroom doors are concealed in the walls. 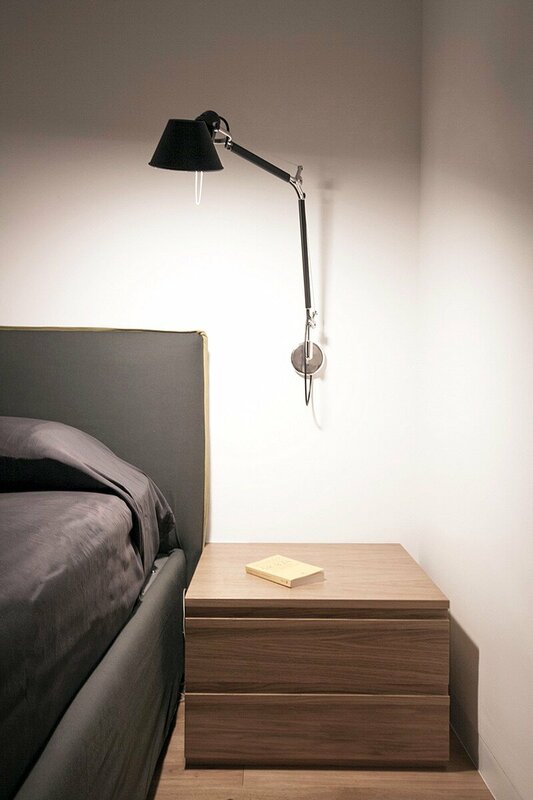 The master bedroom has a new built-in wardrobe. 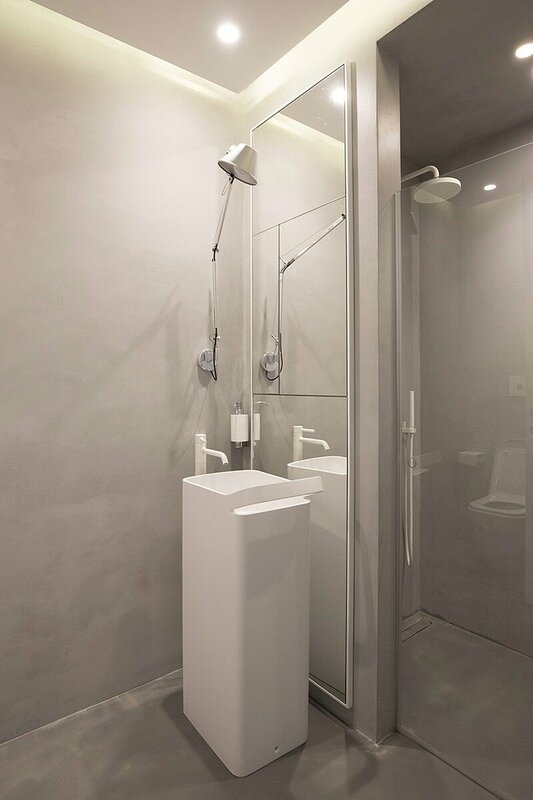 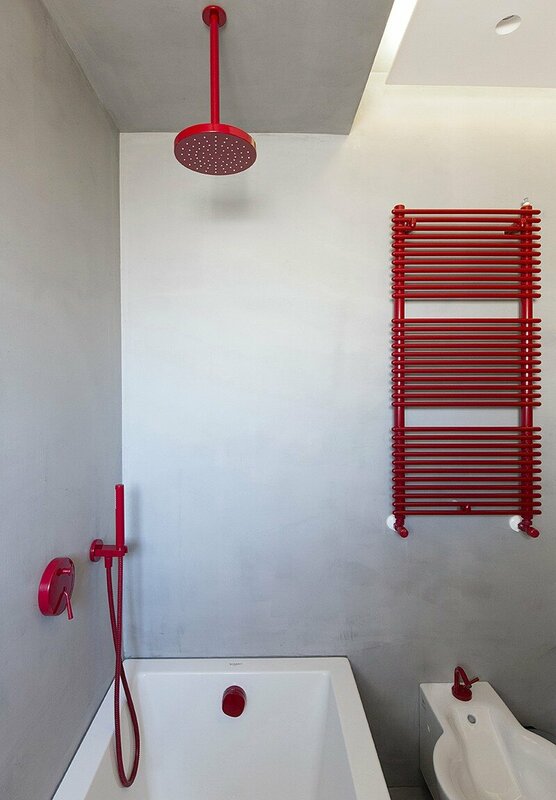 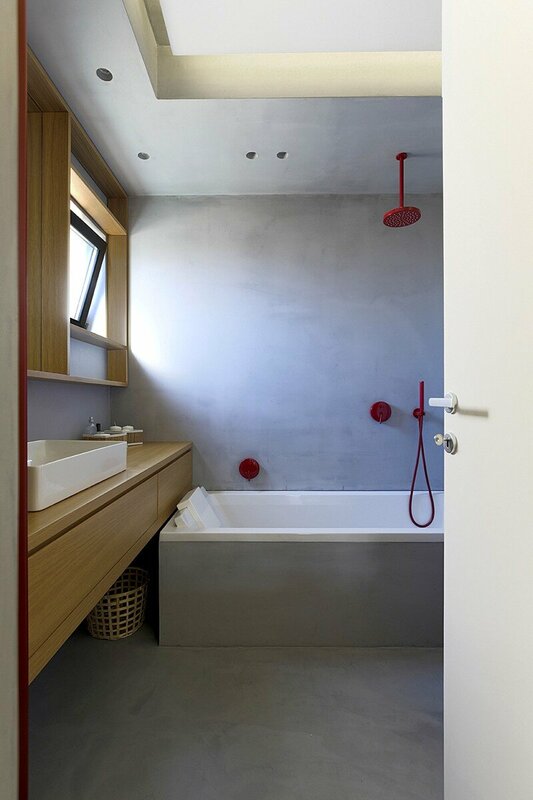 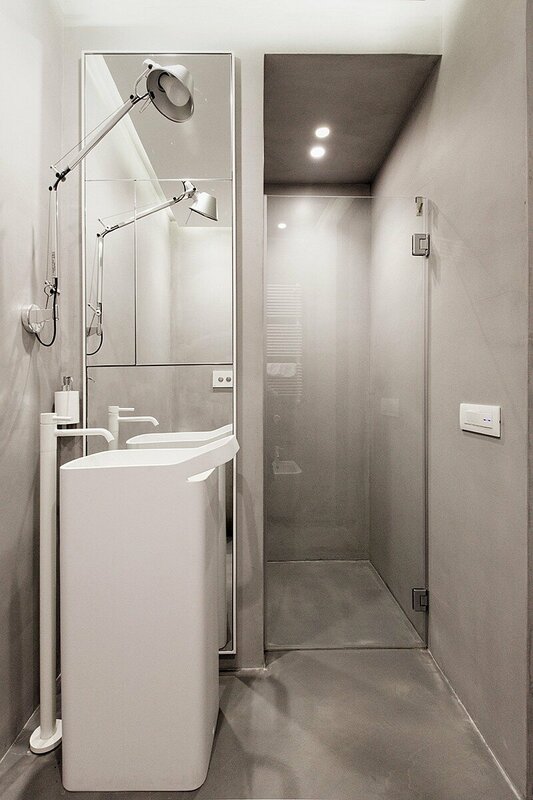 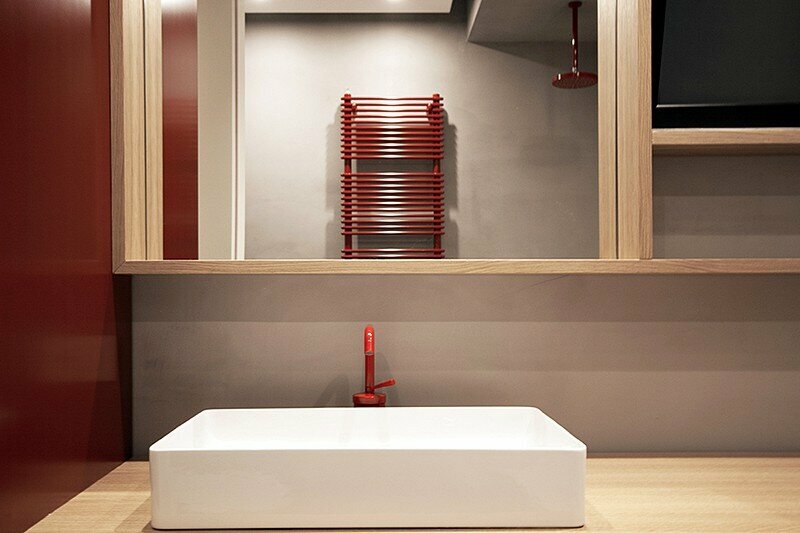 The bathrooms are more than essential- with concrete plaster walls and floor with wooden designed -to- fit elements and red bathroom fittings (sink and radiators).